The first thing you should know about the Bullmastiff temperament is that he is docile, calm and independent. He is also a powerful and massive dog, so the fact that he’s docile may come as a bit of a surprise. This means that, from a physical standpoint, it can be both a challenge and an adventure to own a Bullmastiff. 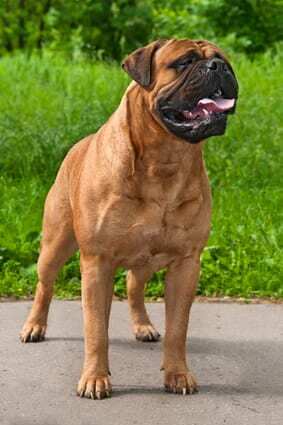 But if you are the type who likes powerful dogs, then the Bullmastiff might be the right breed for you. I say “might” because the Bullmastiff's physical characteristics only tell half the story. To get the other half, you must also know and understand the Bullmastiff temperament. The English Kennel Club did not recognize the Bullmastiff as an official breed until 1924. However, experts have traced the earliest Bullmastiffs relatives as far back as 1850. Over the years, Bullmastiff breeds have shown off their keen guarding skills on several occasions. For instance, in 1928, the De Beers diamond company imported several Bullmastiffs to South Africa to protect their mining interest there. Did you know there were many Bullmastiff colors to choose from out there? For one thing, there’s the brindle Bullmastiff and the fawn Bullmastiff. There’s also the red Bullmastiff. Those three colors and mixtures of each are the official coat colors according to the American Kennel Club (AKC). This does not stop many from searching for other Bullmastiff colors such as blue Bullmastiff or white Bullmastiff. If you are fortunate to find such varieties good for you, just know they are not standard for the breed. Male is between 110 and 130 lbs. And between 99 and 120 lbs. for a female. This is, for sure, a big dog! And 24 to 26 inches for a female. This dog is the very definition of stocky. The Bullmastiff lifespan is only 8 to 10 years, which is the average for such a big dog. The docile Bullmastiff temperament makes him an intriguing mixture of confidence and compliance. The loyal Bullmastiff temperament is strong to the point of being intense. He does not to be apart from his family, especially if they leave him outside. The alert Bullmastiff temperament, coupled with how observant he is, makes him a fantastic watchdog. The protective Bullmastiff temperament means he is not one of those dogs who likes to hear himself bark. When he barks, it’s for a reason, so pay attention. It should come as no surprise that a dog as big as the Bullmastiff would also be powerful. The courageous Bullmastiff temperament shouldn’t come as a surprise either. If you were a big dog like that, you wouldn’t fear heading into new situations either! The devoted Bullmastiff temperament means that he lives for his humans’ attention. He is normally a very reserved dog unless someone aggravates him. The reliable Bullmastiff temperament means you can trust the Bullmastiff with many things, including being okay with strangers. However, a lot of that depends on whether you socialize him early enough. The earlier you socialize him, the better he’ll be. The Bullmastiff is a loving dog who is tolerant of children and very affectionate with his family. The calm Bullmastiff temperament makes him an ideal family dog. 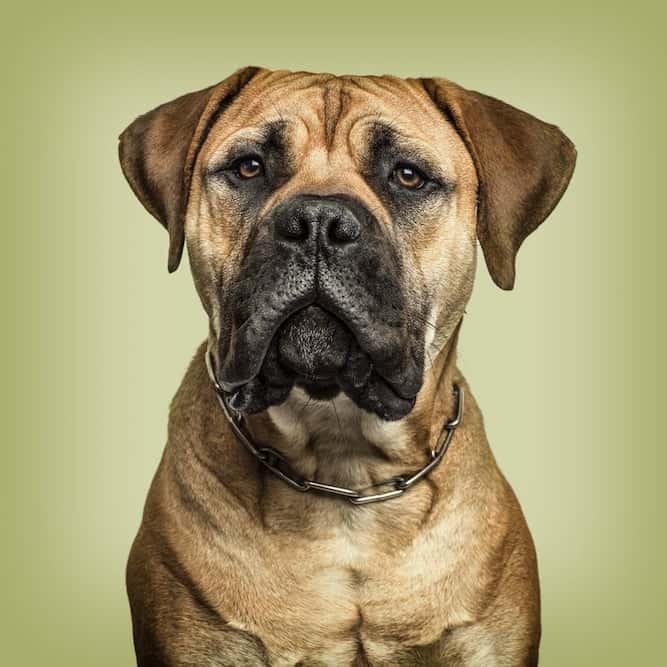 What follows are some tips to help you deal with the many Bullmastiff temperament traits. But first, check out the video below. To get the best out of this breed of dog, you should begin training him when he is still a puppy. Because of how large he is, you may have more difficulty training him when he’s older and bigger. Plus, you want to train this giant not to jump on people while he’s still small enough to not do much damage. Consistency is key when training Bullmastiffs. Since you are the boss, you need to be strong and remain in control no matter what. Bullmastiffs are intelligent dogs, but you should introduce him early to the rules and regulations you want him to follow so they stick. As far as communicating with your Bullmastiff goes, simple words and instructions work best when training this dog. Most dogs love when you reward them with treats, as this motivates them to do well. You should also praise them when they obey you. It is okay to be firm with your dog, but you should also pepper in some sweetness too. Being firm all the time can backfire, as the dog will withdraw from you and possibly even become aggressive. You should never tolerate any wrongdoing simply because you love your dog. Sometimes dealing with a stubborn Bullmastiff requires you to show him some tough love to get him in line. However, you should never use physical force to reprimand him. The anti-social Bullmastiff temperament is normal for this breed. He may find it difficult to adjust to strangers and other animals. Deal with this problem while he is still young. Start by putting a leash or collar on him, then introduce him to your friends and other animals. If you cannot handle training him, then you should seek the assistance of a professional dog trainer. Once you are sure your dog can socialize properly with others, then it is time to introduce a few basic obedience training sessions. For one thing, he must learn to obey other members of the family without exception. If you tell him to sit, or your spouse tells him to sit, he must sit. That’s the command, and he must follow it, no matter who tells him to do it. To counter some of the less desirable Bullmastiff temperament traits, you should engage the dog in activities that stimulate his mind and body. Set aside at least 40 minutes every day to play with your dog and allow him to get some exercise. Choose activities that will strengthen the bond between you and your canine friend and avoid any activities that could encourage him to become aggressive. Click here to see how exercise helps improve behavior problems. 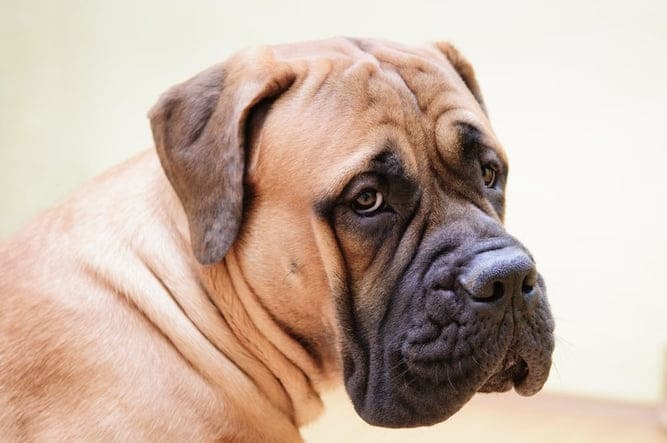 The Bullmastiff, like all other dog breeds, have health problems associated with his breed. If you notice any signs or symptoms that may be related to any of the above conditions, or to any other health issues not mentioned here, you should contact a qualified vet. Note: if you agree that your health and your dog's health should be a top priority then get a copy of The Ultimate Guide to Dog Health. Your Bullmastiff friend will love you for it. This guide will help save you money, time and most of all help you keep your dog healthy. As an adult, the Bullmastiff is very quiet while he’s indoors. However, he can also become destructive if left alone for too long. He likes to climb, unless you teach him otherwise, and he also tends to slobber and drool all over the place. If there are long periods where no one is home at your house, then the Bullmastiff is not the right breed for you. When choosing a Bullmastiff to bring home, do not pick a male if you already have a male Bullmastiff at home. Same gender Bullmastiffs do not always get along. Be ready to deal with this aggressiveness beforehand by avoiding the situation altogether. The Bullmastiff, like other breeds, has a shedding season. Though you should still groom him frequently to ensure he looks his best. As far as bathing goes, he only needs a bath when necessary, like when he smells or gets dirty. Keep an eye on his coat to make sure it doesn’t get overly dry or oily. This can be related to allergies. 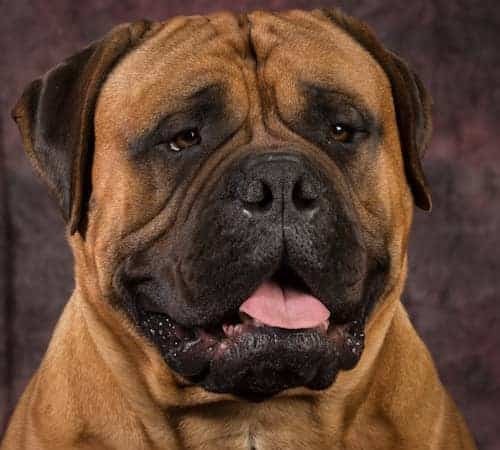 Has learning about the Bullmastiff charmed you enough to bring one into your home? That’s fantastic! 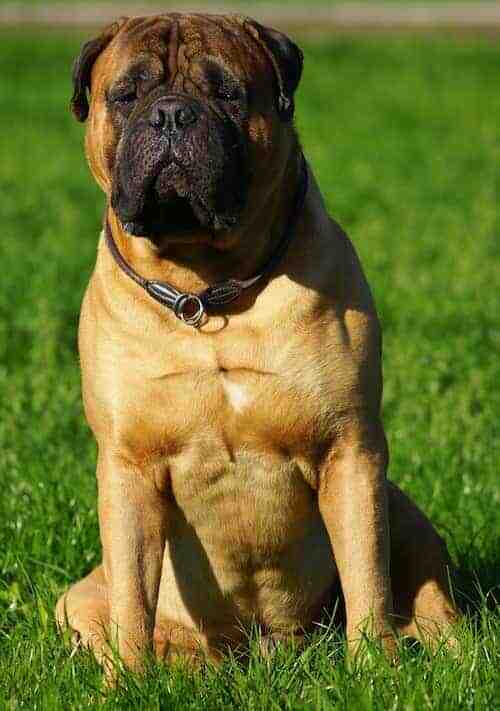 You can find a Bullmastiff for sale either from a breeder or through your local rescue shelter. The average Bullmastiff price is between $1,000 and $2,000. If the cost of a Bullmastiff for sale falls within this range, he should be of a purer pedigree and come from a clean environment. He should also have the proper health clearances. If you’re looking into a Bullmastiff adoption, check with your local animal shelters to see if they have one “in stock.” If not, you may have to check back a few times until you find one. Some people prefer to adopt because of the money they save. They may also prefer being able to skip the Bullmastiff puppy stage and not having to train the dog at all. Another reason to adopt is if you’re looking for a Bullmastiff mix. The fact of the matter is that you’re more likely to find a mix than a purebred in a shelter. 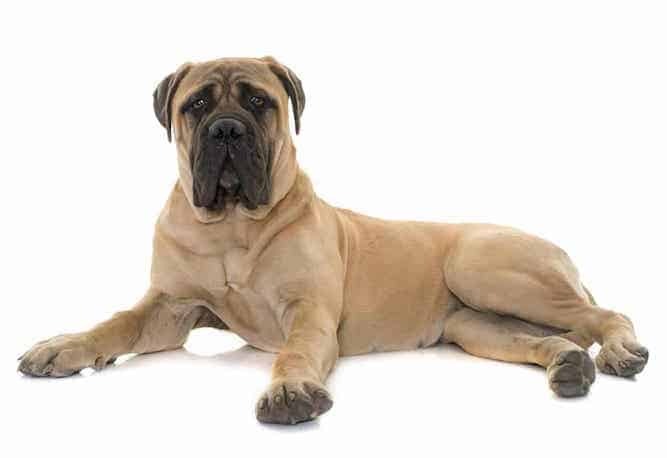 Bullmastiff breeders should be able to answer any questions you have about their Bullmastiff dogs for sale, even after you take the dog home. Try to go through official sites, like the AKC or the American Bullmastiff Association, to find a reputable breeder. Never buy a dog from a pet store, and especially not through a puppy mill. These dogs are always more expensive than they should be. You are more likely to take home a dog that is, at worst, sick, and, at best, you’ll know nothing about his history. The Bullmastiff falls into the group of dogs referred to as the Working Dogs group. Dogs in this group are stronger and larger than other breeds. They love engaging in tasks that involve rescuing someone, pulling something, or using their guarding skills. These are smart, resourceful dogs who learn quickly and make great companions. Conclusion: Why the Bullmastiff Dog? The Bullmastiff temperament doesn’t quite match the dog, which is why he makes the ideal family companion. He’s huge, but he’s docile. And yet, he is always alert, reliable, observant and protective which makes him a fantastic watchdog. In addition, the Bullmastiff has a calm and independent temperament. He loves human attention, is very affectionate and is tolerant of children. Bullmastiffs are not known for excessive barking but bark with a cause. This dog is very reserved unless aggravated. He doesn’t have too many health concerns to worry about, and you can get him in a variety of colors! The Bullmastiff dog price should fall between $1,000 and $2,000, though the price may vary depending on the breeder and location. Always do your research before forking out cash for a Bullmastiff or any dog for that matter. This can save you from buying a puppy who could be sick or excessively inbred. Finally, the Bullmastiff is an imposing dog and therefore you should be firm when handling him. Previous post: French Bulldog Temperament – Do You Know What To Expect?